I have a confession to make. I don’t like chicken rice, and would never eat it except for the two times here and here. My dislike for chicken rice started when I was 5 or 6 years old. I had an awful version, and avoided eating chicken rice ever since. When I suggested chicken rice for lunch yesterday, Shum (who loves chicken rice) thought I was joking. “Are you sure? Is that what you really want? But you don’t even like chicken rice!”, she said. “Yes, yes and yes, but I’m starting to think it’s not that bad”, I replied. So we made our way to Heavenly Chicken Rice House, located down the road from Hing Loong Taiwanese Noodles House (same row as Damansara Hokkien Mee). We ordered a chicken rice set each and shared a bowl of sui kows (dumplings). 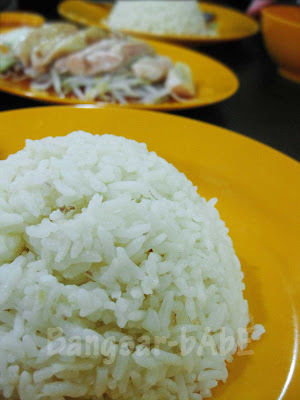 For RM4.80, we got a plate of rice, a good portion of chicken, beansprouts and a bowl of soup. Shum asked for the steamed version, and I opted the roasted version. Both our chickens came topped with fragrant garlic oil. 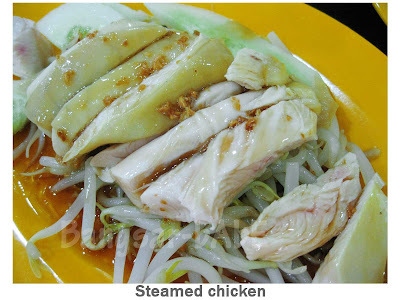 The steamed chicken was meaty, firm and tender. However, the flesh was not as smooth as Lou Wong’s chicken. Between the two, the steamed chicken was juicier and more tender. The roasted chicken was a tad dry, probably because it was the breast part. 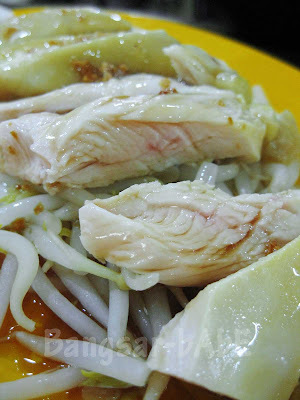 Lightly seasoned with gravy and chicken oil, the beansprouts were crunchy and fresh. I liked it. 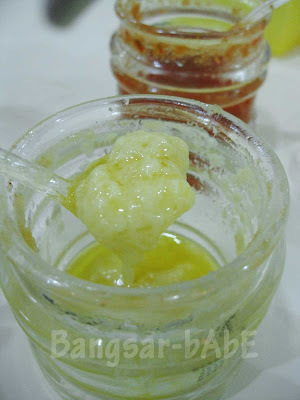 The oil rice was fluffy and fragrant, without being too dry. Not bad, but I’ve had better. 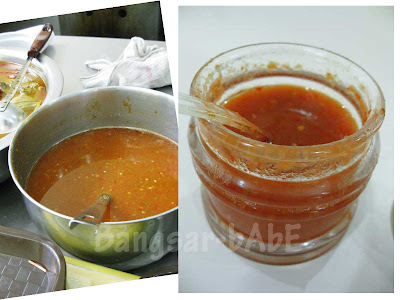 I found the chili sauce a bit diluted, but it was fragrant and packed quite a punch. We both agreed that the ginger sauce was not fiery enough and it was overly smooth (very puree-like). It would have tasted better with a bit of texture. The sui kows were of a good size. Filled with shredded black fungus, carrots and minced meat, it tasted pretty decent. My only complaint was the slightly (still acceptable, but I’m nit-picking!) thicker dumpling skin. We paid RM15.20 for lunch, which was pretty reasonable in my opinion. 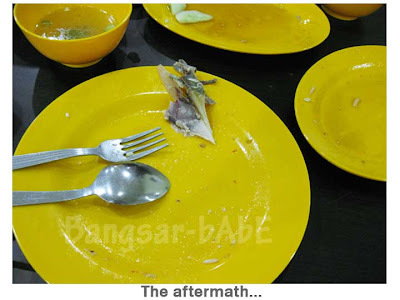 Portions were generous and the place was clean with air-conditioning. I’m certain this is not the best chicken rice around, but it is still decent enough for a revisit. Verdict: Decent chicken rice, air-conditioned outlet and reasonable prices. then u tell me whether its better!! Fair enough …things change , tastes change…Everybody needs a second chance ( Terminator Salvation ). Wow… I bet the chicken tasted heavenly! Looks so juicy and tender.. yummy…. not one of the best around. WMW and I drove pass this place last week and thought about giving it a try one day. 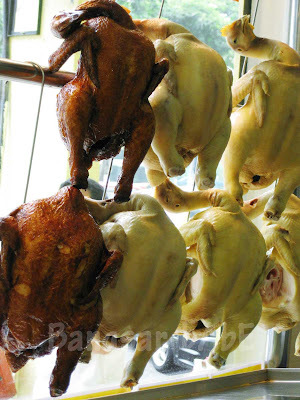 Chicken rice craze nowadays! just my 2cents, u guys shud try this. remember, just order drumstick. try this, then u will truly know what is the true meaning of 'smooth'. 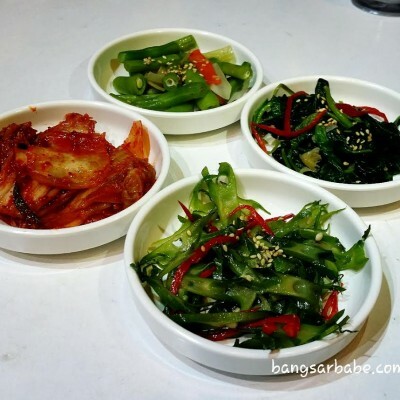 Pea – Ya lor…i wonder what's next! BSG – I think it's because I hang out with chicken rice fans…aka Becky & Shum! 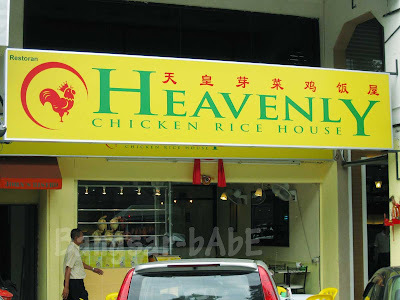 how come I never notice this chicken rice shop before??? Even though I go to Uptown most of the time????? BTW, my parents went to Genting last weekend, and I told them to try Restaurant 126. They liked the steamed fish and frog leg! Thanks ya for the rec! 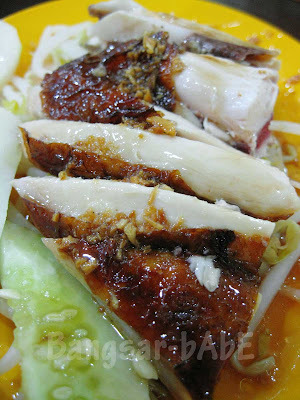 Have u tried Jalan Gasing’s Ipoh chicken rice? It’s quite good too. No I haven’t. There’s two restaurants right? Which one is better? 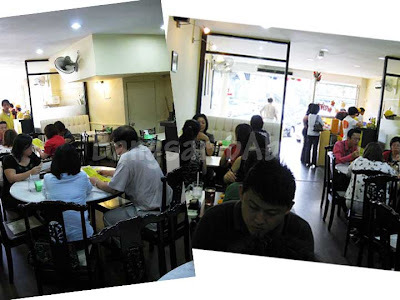 Do give this place in Klang a go before you ditch the idea of chicken rice … Its DIVINE!